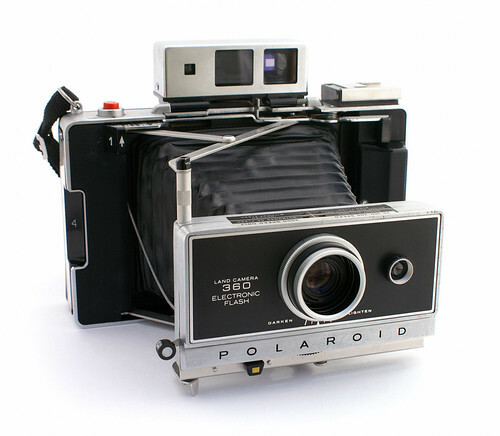 The 360 differs from the more basic models in the series by including the desirable single-window rangefinder-viewfinder supplied by Zeiss Ikon. 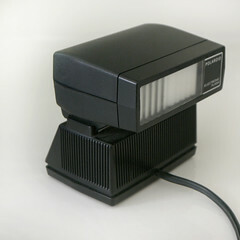 The camera includes an electronic development timer. But its headline feature is the dedicated electronic flash, which attaches using a proprietary shoe. This flash is coupled to the rangefinder, and small fins within the flash head reduce the light output as the camera is focused closer, giving correct exposure automatically. The flash contains Ni-Cad rechargeable batteries. A dedicated recharge unit is provided for the flash. After 40 years the batteries in the flash are unfortunately often dead. The batteries within can be replaced but the process might not be suitable for those not familiar with electronic repair. Unlike previous 100-400 series models, the battery compartment is relocated to the front part of the camera behind the left hand grip. This was necessary because the back flap is riveted shut and contains flash related hardware. 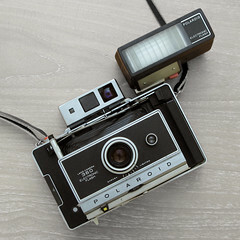 The camera uses two 3v #352 / PX24 batteries, one for the shutter and the other for the development timer. 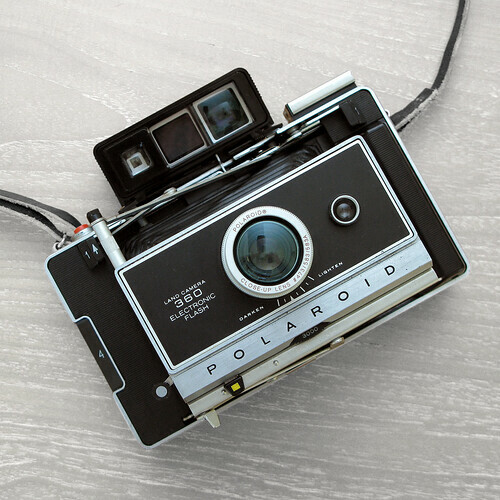 A (borrowed) Polaroid 360 was the first camera used by photographer Robert Mapplethorpe. ↑ Patti Smith Just Kids (New York, Ecco, 2010; ISBN 978-0-06-093622-8), page 188. This page was last edited on 2 November 2017, at 06:13.